The symbology of a layer is its visual appearance on the map. The basic strength of GIS over other ways of representing data with spatial aspects is that with GIS, you have a dynamic visual representation of the data you’re working with. Therefore, the visual appearance of the map (which depends on the symbology of the individual layers) is very important. The end user of the maps you produce will need to be able to easily see what the map represents. Equally as important, you need to be able to explore the data as you’re working with it, and good symbology helps a lot. In other words, having proper symbology is not a luxury or just nice to have. 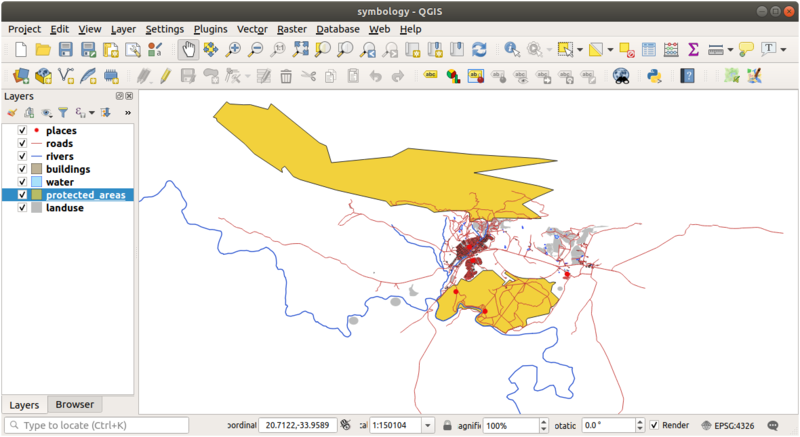 In fact, it’s essential for you to use a GIS properly and produce maps and information that people will be able to use. The goal for this lesson: To be able to create any symbology you want for any vector layer. 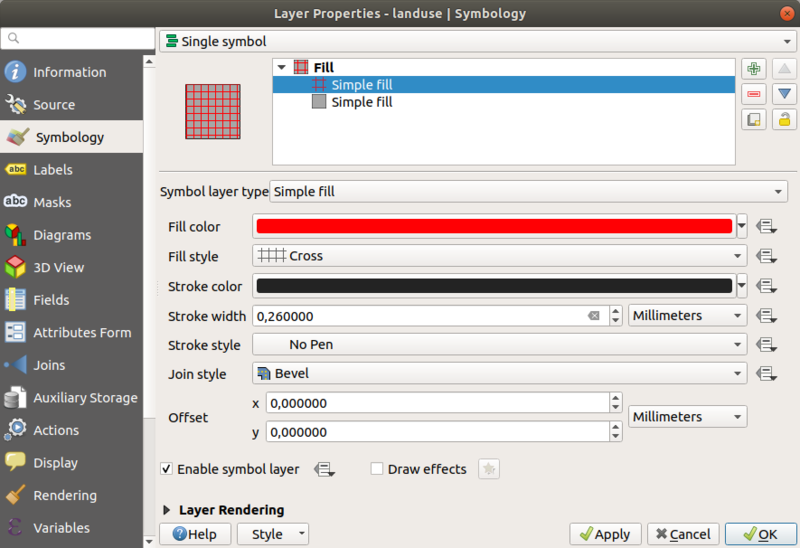 To change a layer’s symbology, open its Layer Properties. Let’s begin by changing the color of the landuse layer. Right-click on the landuse layer in the layers list. Select the menu item Properties… in the menu that appears. By default, you can also access a layer’s properties by double-clicking on the layer in the Layers list. 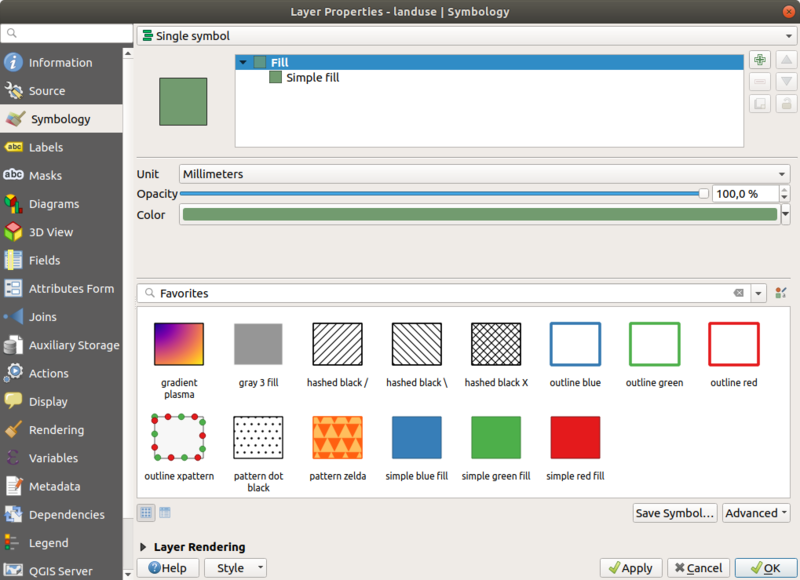 The button at the top of the Layers panel will open the Layer Styling panel. You can use this panel to change some properties of the layer: by default, changes will be applied immediately! Click the color select button next to the Color label. A standard color dialog will appear. Choose a gray color and click OK.
Change the color of the water layer to light blue. Try to use the Layer Styling panel instead of the Layer Properties menu. This is good stuff so far, but there’s more to a layer’s symbology than just its color. Next we want to eliminate the lines between the different land use areas so as to make the map less visually cluttered. 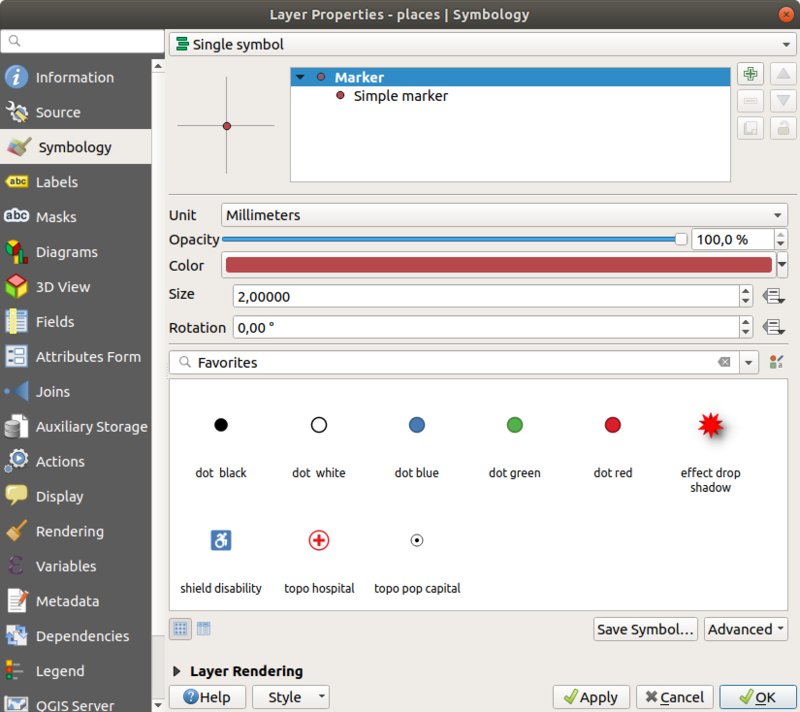 Open the Layer Properties window for the landuse layer. Under the Symbology tab, you will see the same kind of dialog as before. This time, however, you’re doing more than just quickly changing the color. In the symbol layers tree, expand the Fill dropdown and select the Simple fill option. Click on the Stroke style dropdown. At the moment, it should be showing a short line and the words Solid Line. 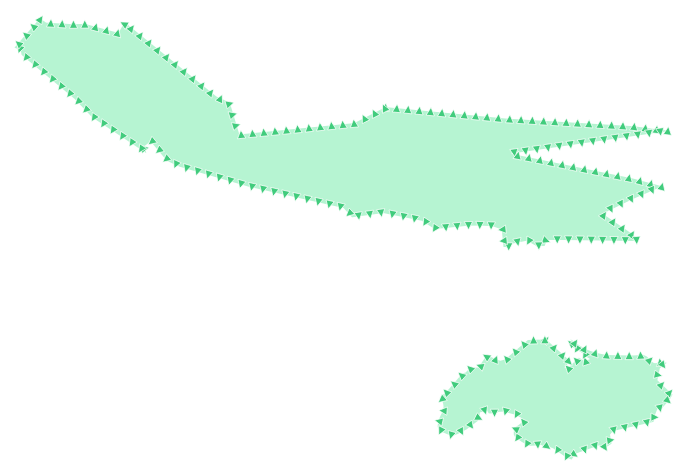 Now the landuse layer won’t have any lines between areas. Change the water layer’s symbology again so that it has a darker blue outline. Change the rivers layer’s symbology to a sensible representation of waterways. Remember: you can use the Open the Layer Styling panel button and see all the changes instantly. That panel also allows you to undo individual changes while symbolizing a layer. Sometimes you will find that a layer is not suitable for a given scale. For example, a dataset of all the continents may have low detail, and not be very accurate at street level. When that happens, you want to be able to hide the dataset at inappropriate scales. … is not very useful. The buildings are hard to distinguish at that scale. 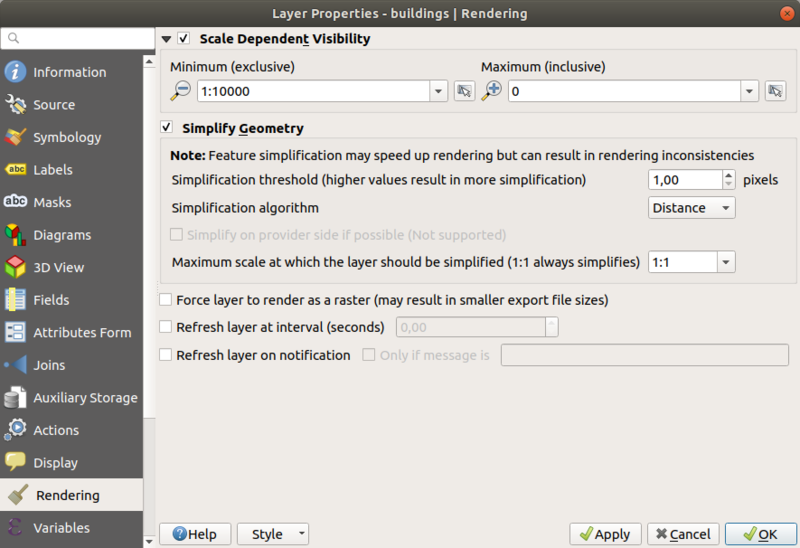 Open the Layer Properties dialog for the buildings layer. Change the Minimum value to 1:10000. Test the effects of this by zooming in and out in your map, noting when the buildings layer disappears and reappears. 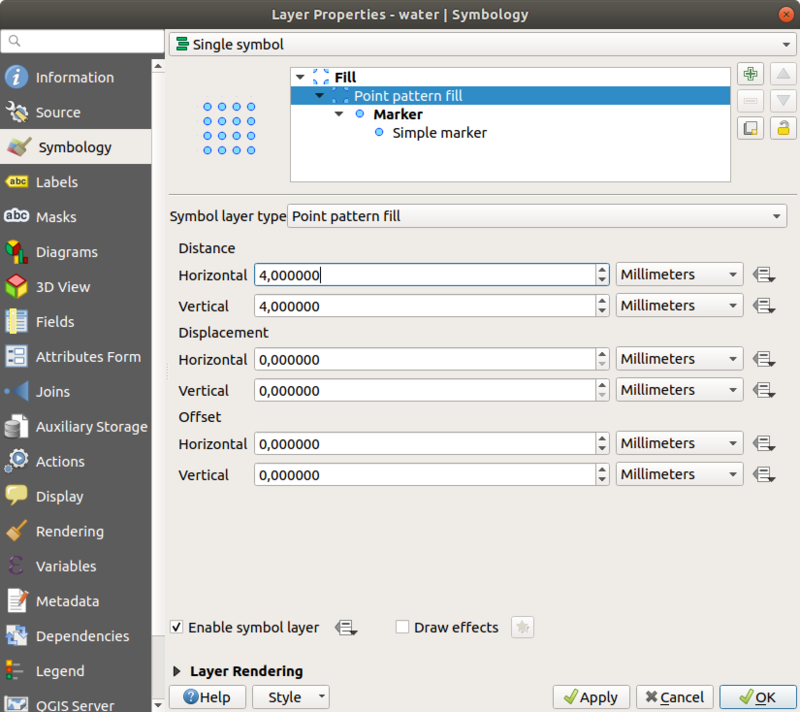 Go back to the landuse layer’s symbol properties panel (by clicking Simple fill in the symbol layers tree). It may appear somewhat different in color, for example, but you’re going to change that anyway. Now there’s a second symbol layer. Being a solid color, it will of course completely hide the previous kind of symbol. Plus, it has a Solid Line border style, which we don’t want. Clearly this symbol has to be changed. Now you can see your results and tweak them as needed. You can even add multiple extra symbol layers and create a kind of texture for your layer that way. Remembering to zoom in if necessary, create a simple, but not distracting texture for the buildings layer using the methods above. 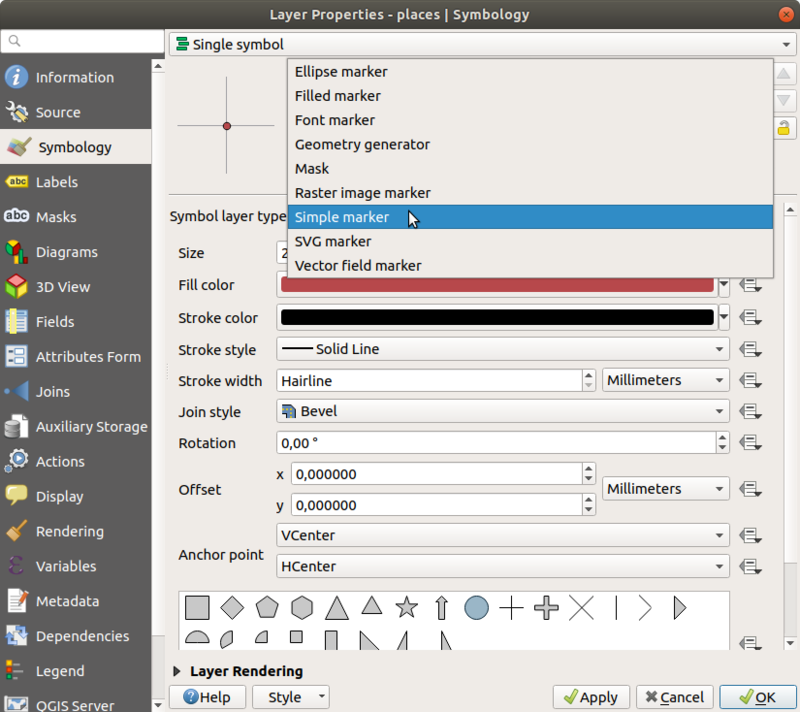 When symbol layers are rendered, they are also rendered in a sequence, similar to the way the different map layers are rendered. This means that in some cases, having many symbol layers in one symbol can cause unexpected results. 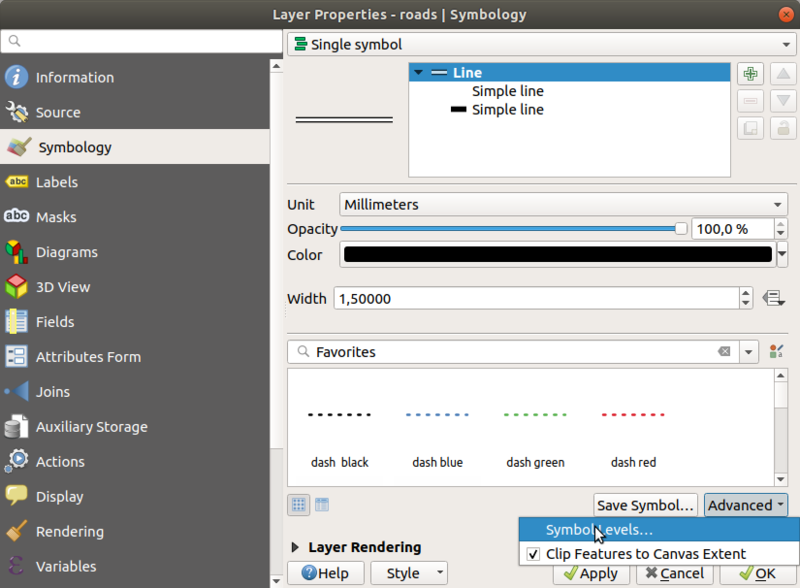 Give the roads layer an extra symbol layer (using the method for adding symbol layers demonstrated above). Give the base line a Stroke width of 1.5 and a black color. 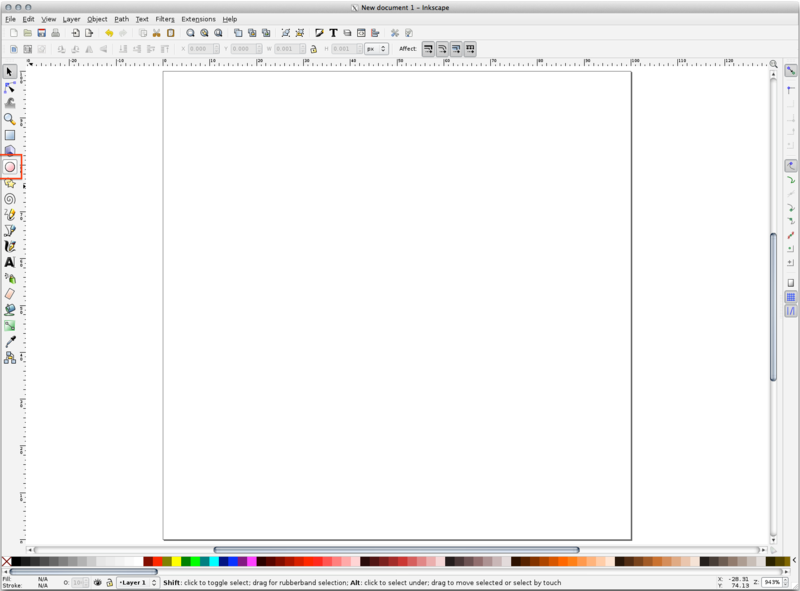 Give the new, uppermost layer a thickness of 0.8 and a white color. Well, roads have now a street like symbology, but you see that lines are overlapping each others at each cross. That’s not what we want at all! To prevent this from happening, you can sort the symbol levels and thereby control the order in which the different symbol layers are rendered. 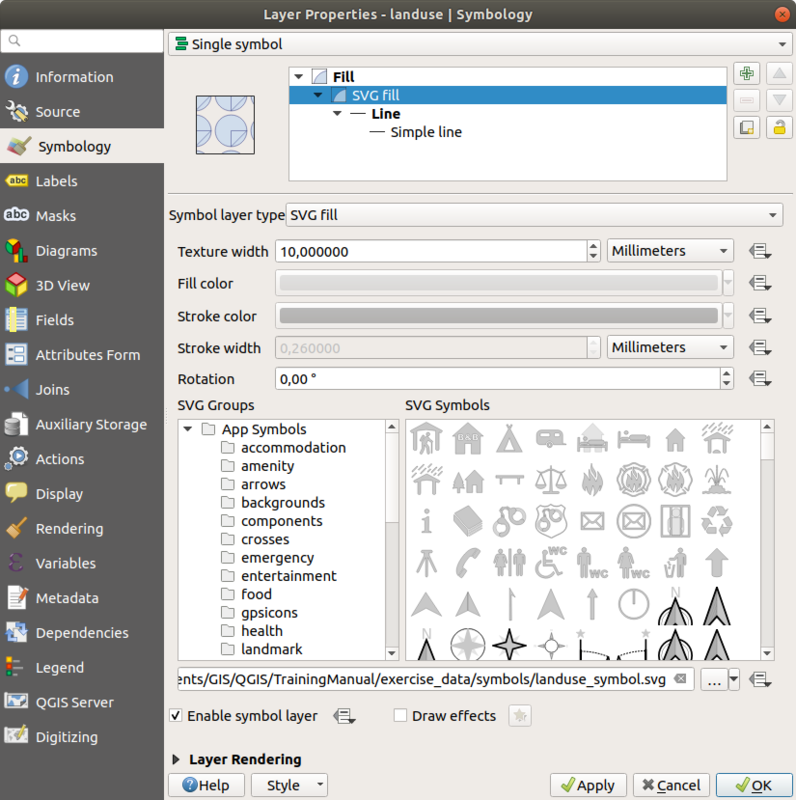 Select the topmost Line layer in the symbol layers tree. Click Advanced ‣ Symbol levels… in the bottom right-hand corner of the window. Check Enable symbol levels. 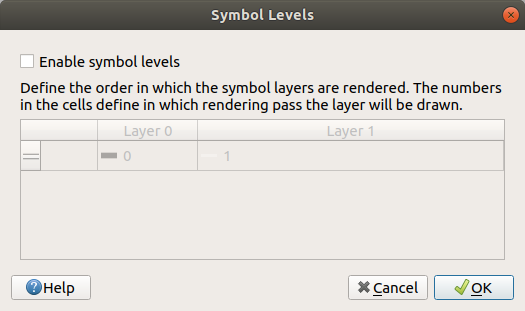 You can then set the layer order of each symbol by entering the corresponding level number. 0 is the bottom layer. Click OK twice to return to the map. When you’re done, remember to save the symbol itself so as not to lose your work if you change the symbol again in the future. 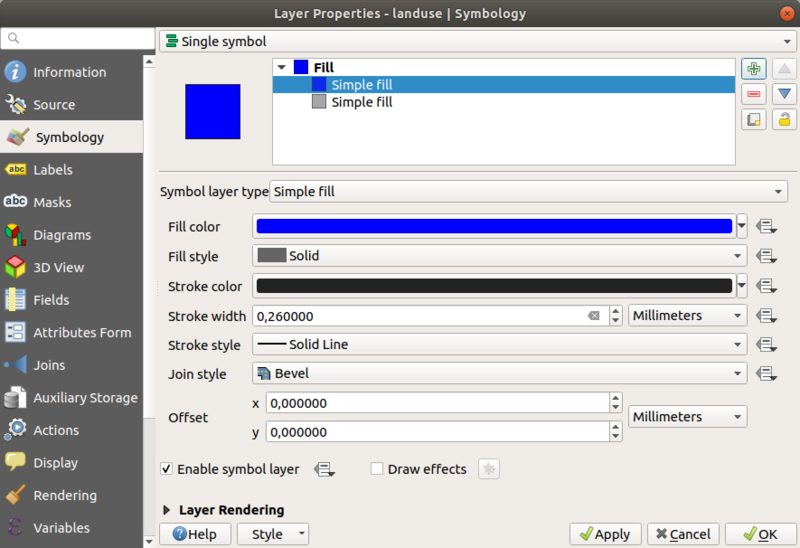 You can save your current symbol style by clicking the Save Style… button at the bottom of the Layer Properties dialog. We will be using the QGIS QML Style File format. Save your style in the solution/styles/better_roads.qml folder. You can load a previously saved style at any time by clicking the Load Style… button. Before you change a style, keep in mind that any unsaved style you are replacing will be lost. Change the appearance of the roads layer again. 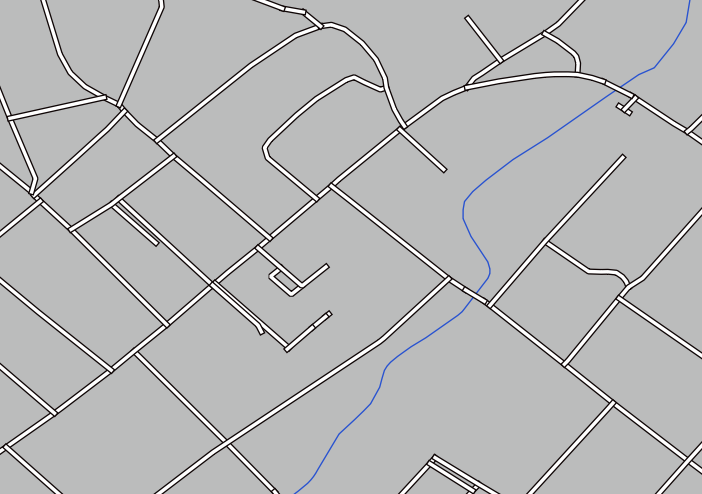 Make the roads narrow and yellow, with a thin, pale gray outline and a thin black line in the middle. Remember that you may need to change the layer rendering order via the Advanced ‣ Symbol levels… dialog. Symbol levels also work for classified layers (i.e., layers having multiple symbols). Since we haven’t covered classification yet, you will work with some rudimentary pre-classified data. 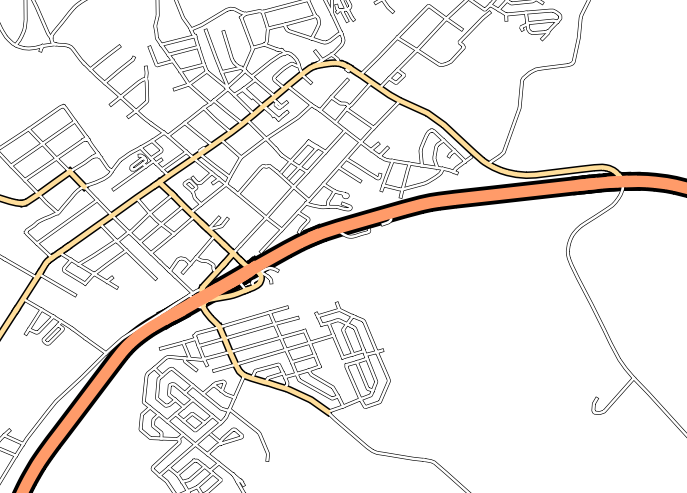 Create a new map and add only the roads dataset. Load the style file advanced_levels_demo.qml provided in exercise_data/styles. Zoom in to the Swellendam area. Uncheck all the layers except for places. Investigate the various options available to you, and choose a symbol with styling you think is appropriate. If in doubt, use a round Simple marker with a white border and pale green fill, with a Size of 3.00 and a Stroke width of 0.5. Ensure that the symbol levels are correct (via the Advanced ‣ Symbol levels dialog we used earlier) before applying the style. Once you have applied the style, take a look at its results on the map. As you can see, these symbols change direction along with the road but don’t always bend along with it. This is useful for some purposes, but not for others. If you prefer, you can change the symbol layer in question back to the way it was before. 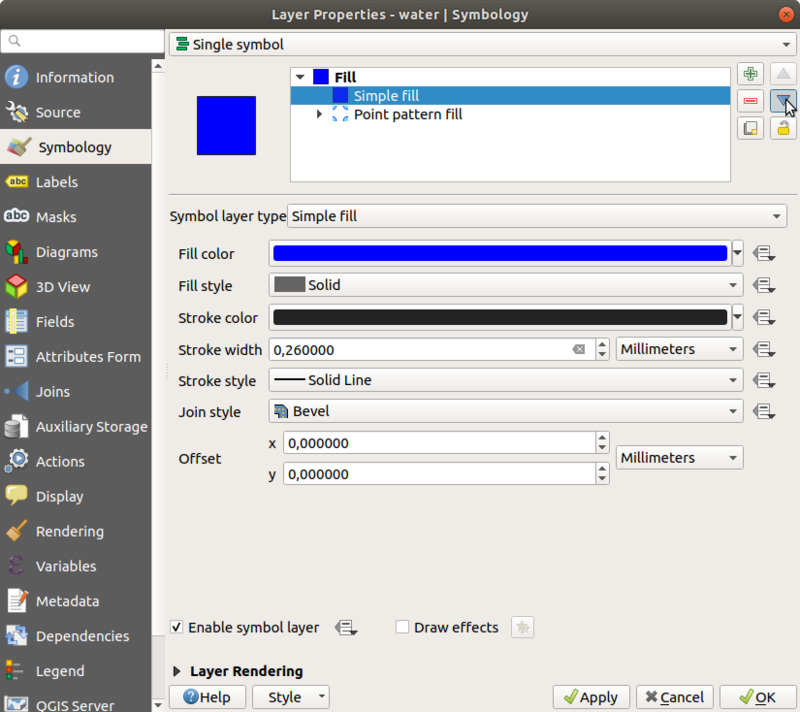 Change the Symbol layer type for the water layer, as before for the other layers. Investigate what the different options on the list can do. Choose one of them that you find suitable. Make it the same light blue with a darker blue border. As a result, you have a textured symbol for the water layer, with the added benefit that you can change the size, shape and distance of the individual dots that make up the texture. 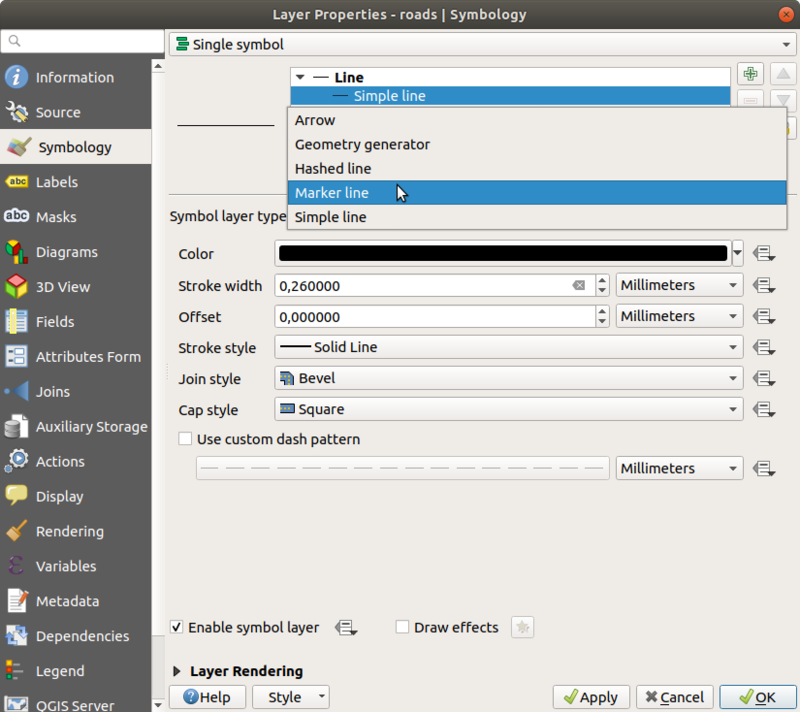 You can use the Geometry generator symbology with all layer types (points, lines and polygons). The resulting symbol depends directly on the layer type. Very briefly, the Geometry generator symbology allows you to run some spatial operations within the symbology itself. 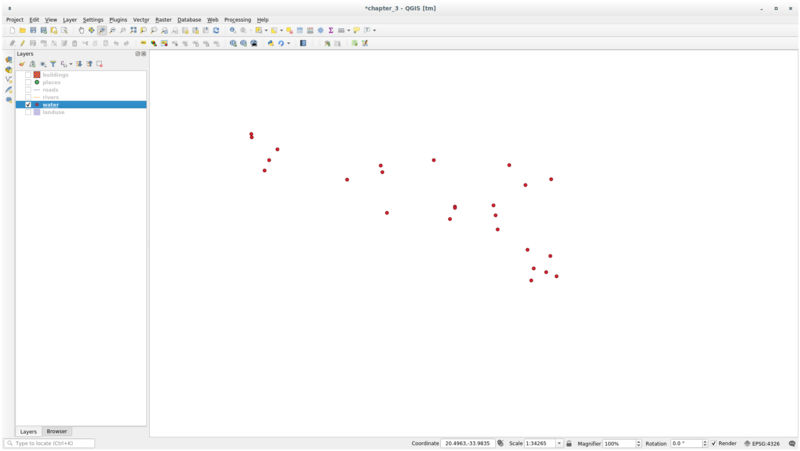 For example you can run a real centroid spatial operation on a polygon layer without creating a point layer. Moreover, you have all the styling options to change the appearance of the resulting symbol. 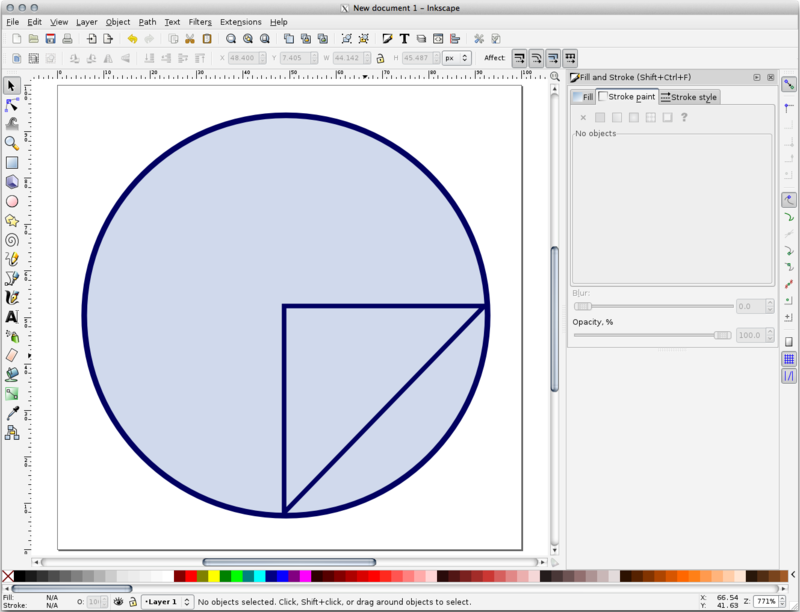 Click on Simple fill and change the Symbol layer type to Geometry generator. Before to start writing the spatial query we have to choose the Geometry Type in output. In this example we are going to create centroids for each feature, so change the Geometry Type to Point / Multipoint. When you click on OK you will see that the water layer is rendered as a point layer! 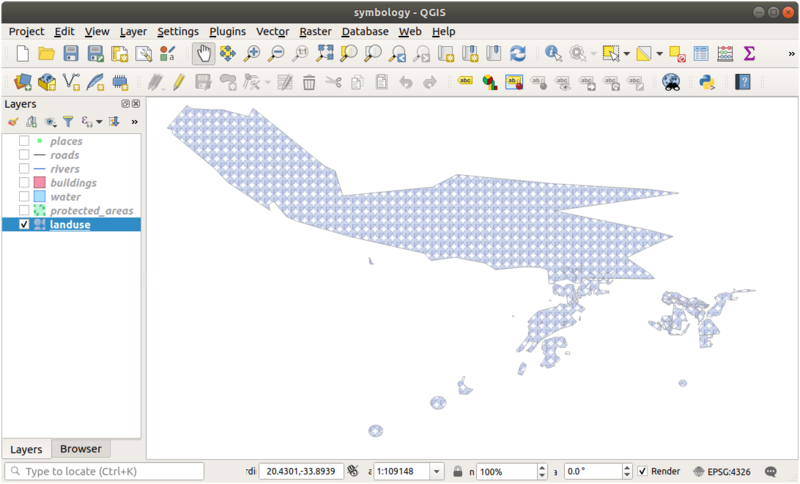 We have just run a spatial operation within the layer symbology itself, isn’t that amazing? With the Geometry generator symbology you can really go over the edge of normal symbology. Geometry generator are just another symbol level. Try to add another Simple fill underneath the Geometry generator one. Change also the appearance of the Simple marker of the Geometry generator symbology. 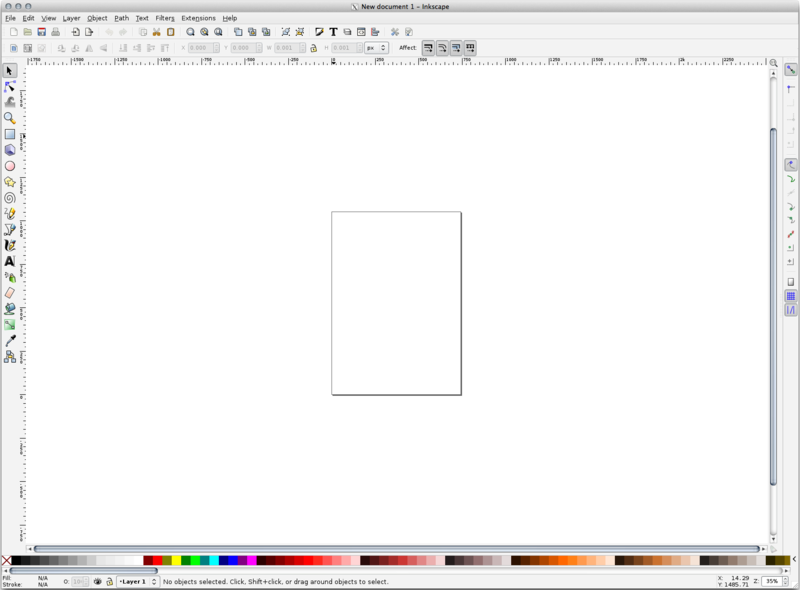 To do this exercise, you will need to have the free vector editing software Inkscape installed. You should find this familiar if you have used other vector image editing programs, like Corel. First, we’ll change the canvas to a size appropriate for a small texture. Click on the menu item File ‣ Document Properties. This will give you the Document Properties dialog. Change the Units to px. Change the Width and Height to 100. Close the dialog when you are done. Click on the menu item View ‣ Zoom ‣ Page to see the page you are working with. Click and drag on the page to draw an ellipse. 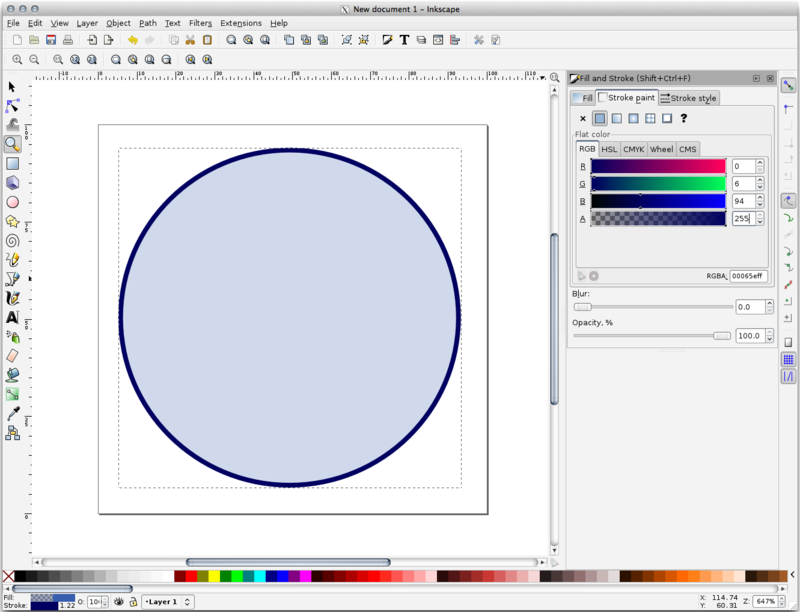 To make the ellipse turn into a circle, hold the Ctrl button while you’re drawing it. And reduce the border thickness under Stroke style tab. Click once to start the line. Hold Ctrl to make it snap to increments of 15 degrees. Move the pointer horizontally and place a point with a simple click. 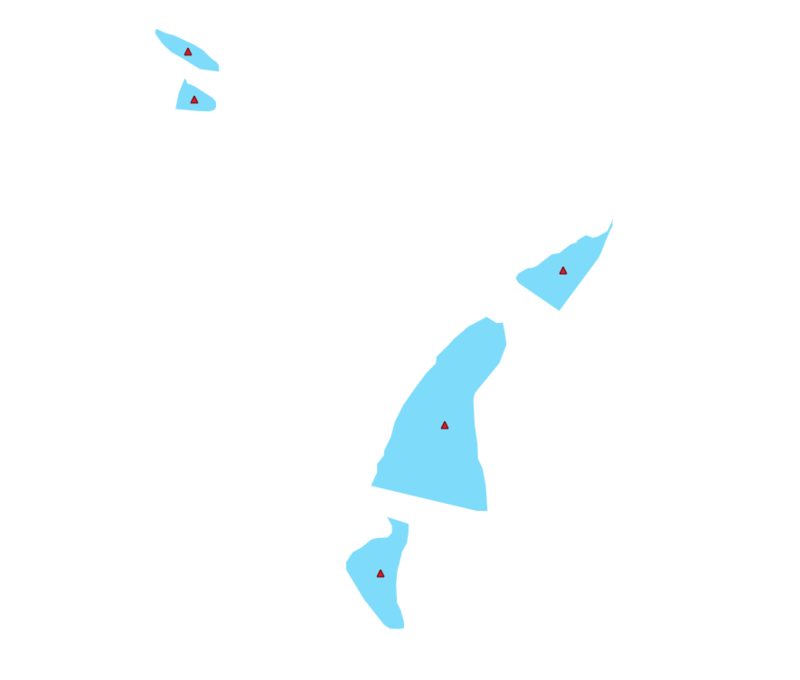 Click and snap to the vertex of the line and trace a vertical line, ended by a simple click. Now join the two end vertices. If the symbol you get satisfies you, then save it as landuse_symbol under the directory that the course is in, under exercise_data/symbols, as SVG file. 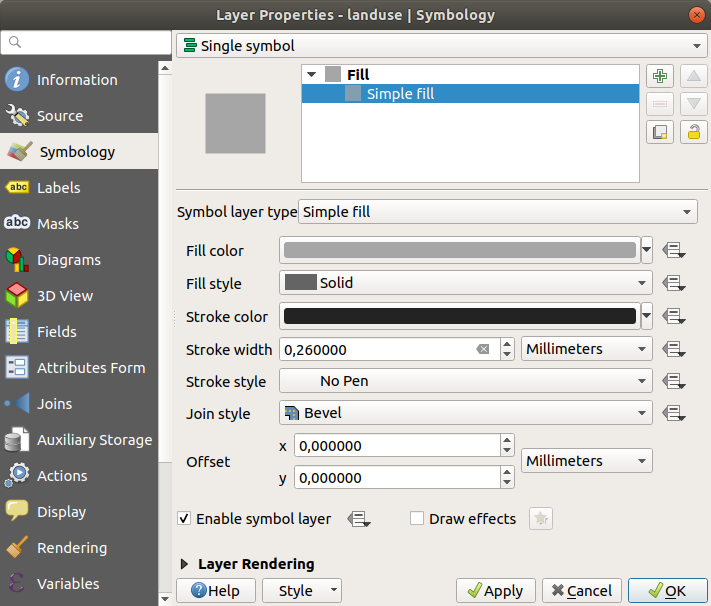 Open the Layer Properties for the landuse layer. 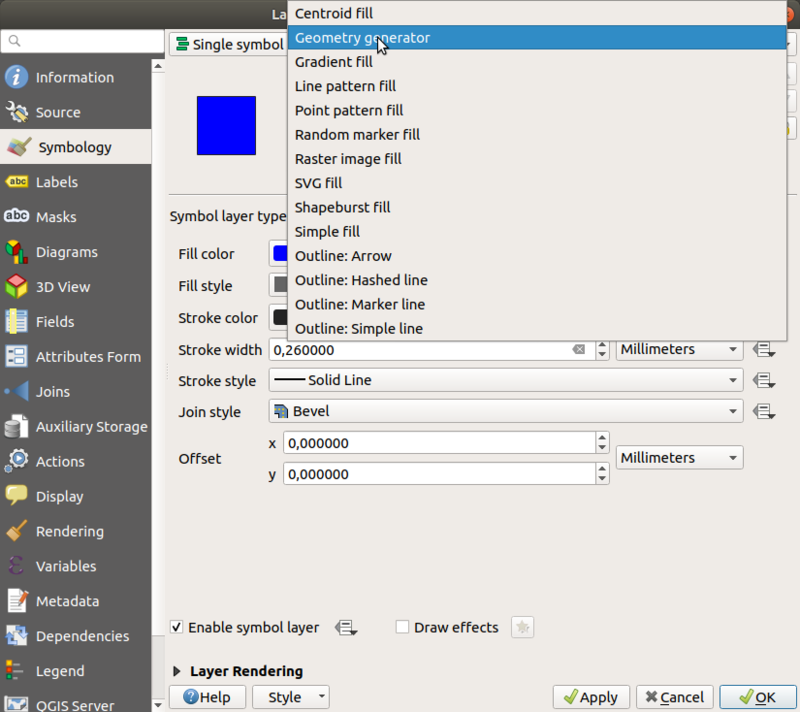 In the Symbology tab, change the symbol structure by changing the Symbol Layer Type to SVG Fill``` shown below. Click the … button and then Select File… to select your SVG image. It’s added to the symbol tree and you can now customize its different characteristics (colors, angle, effects, units…). 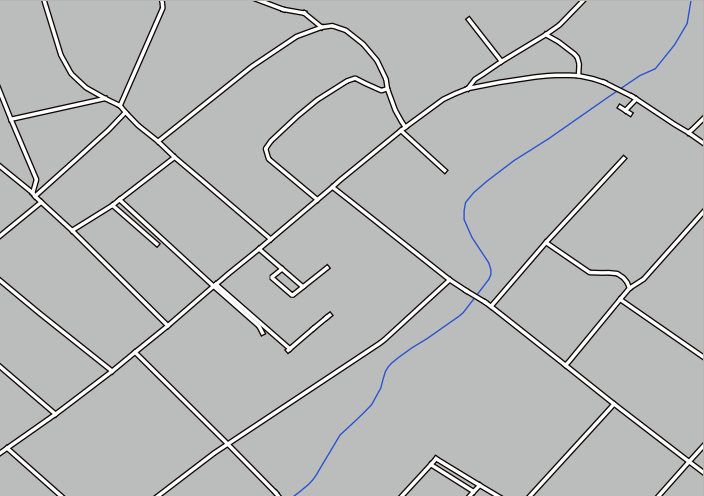 Once you validate the dialog, features in landuse layer should now be covered by a set of symbols, showing a texture like the one on the following map. If textures are not visible, you may need to zoom in the map canvas or set in the layer properties a bigger Texture width. Changing the symbology for the different layers has transformed a collection of vector files into a legible map. Not only can you see what’s happening, it’s even nice to look at! 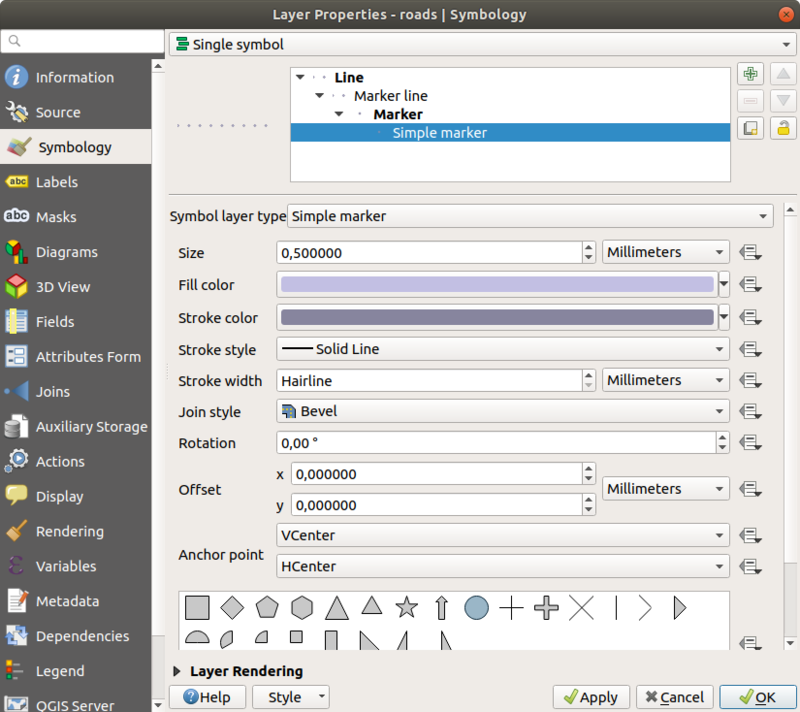 Changing symbols for whole layers is useful, but the information contained within each layer is not yet available to someone reading these maps. What are the streets called? Which administrative regions do certain areas belong to? What are the relative surface areas of the farms? All of this information is still hidden. The next lesson will explain how to represent this data on your map. Did you remember to save your map recently?